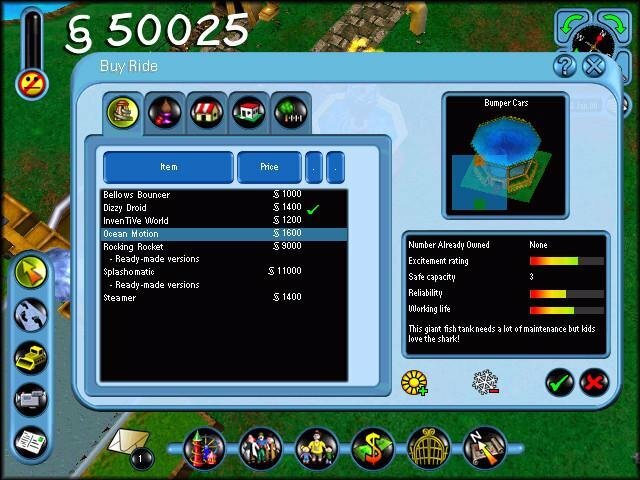 In an obvious attempt to cash in on the RollerCoaster Tycoon phenomenon, Electronic Arts decided to take what could only have reasonably been called Sim Theme Park 2 and named it SimCoaster.It’s got the same engine, the same core gameplay, and many of the same flaws. 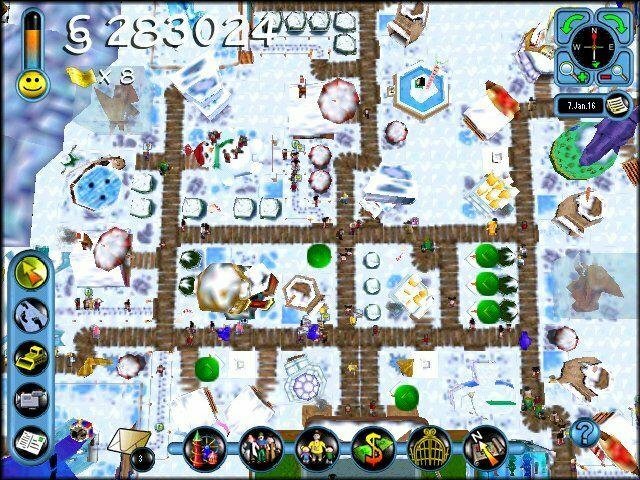 There are quite a few nice new additions, but a few new annoyances balance them out. 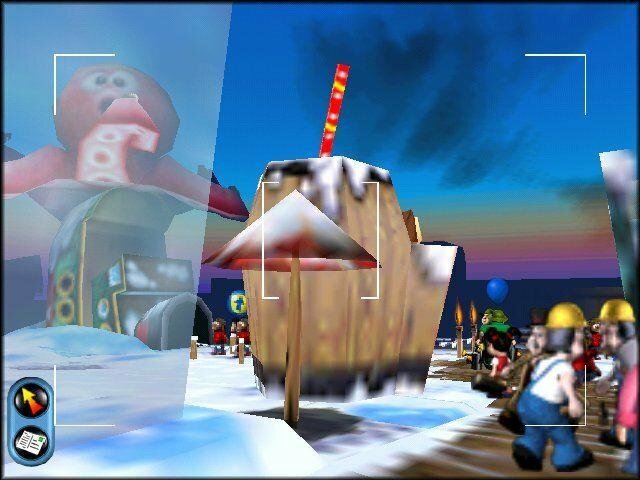 This time around, there’s a real structure to your progress through the game. 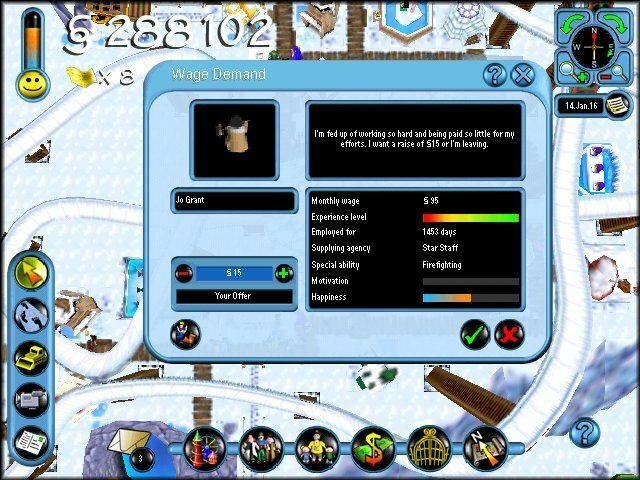 You begin your career as a fledgling manager and ultimately have to take over 51 percent of the company stock to become the theme park company’s new owner. 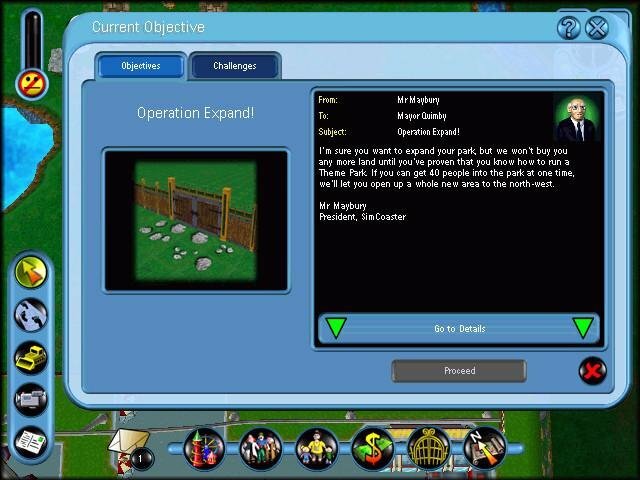 You’ll do this by completing a series of linear objectives, most of which open new areas of your park. 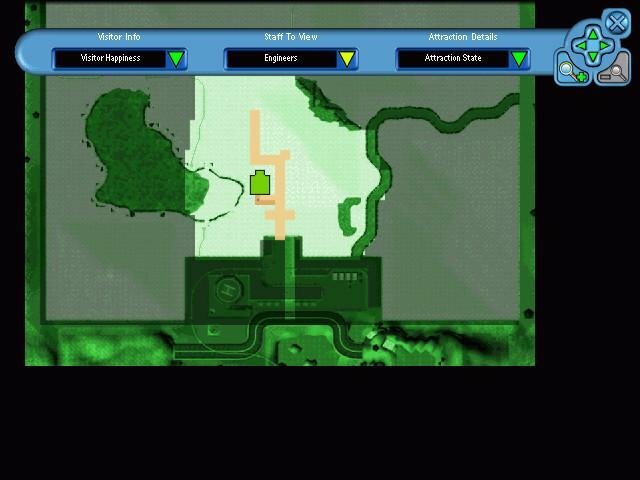 For example, you might be told to drain the swampland that prevents the park from growing, which is solved only by having scientists study the problem and then training gardeners to deal with it. 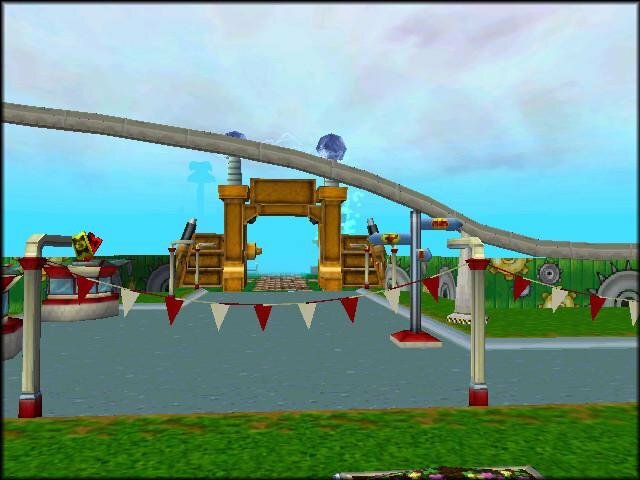 In Sim Theme Park, one of the major hassles was the inability to zoom out far enough to get a real sense of the park as a whole. 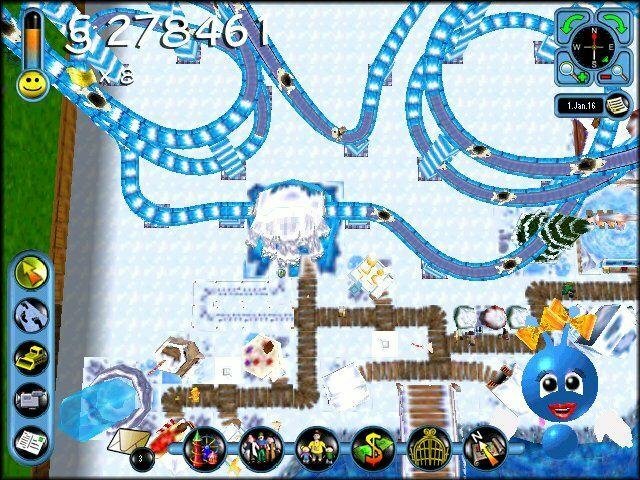 That has been rectified, as has the annoying inability to design coasters with the game paused. 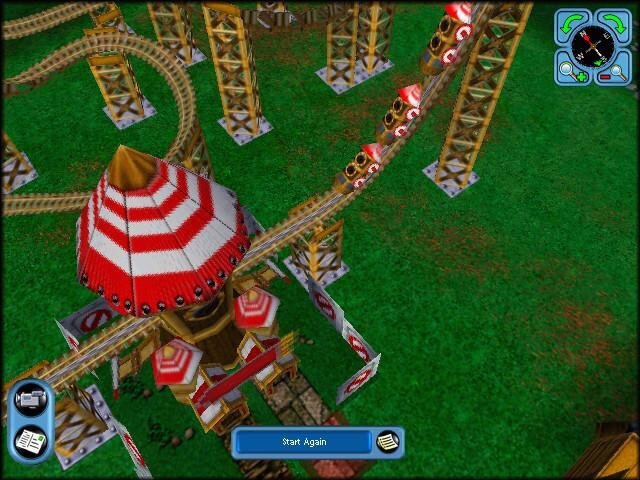 You still can’t pause and layout a coaster track in your park, but there’s a coaster design kit in the options menu you can use at any time to lay some tracks on an empty map. It’s also nice to have a real reason to put down some sideshows and calm rides. Now that grandparents attend your park along with the kids, you’ve got to have something for them too. 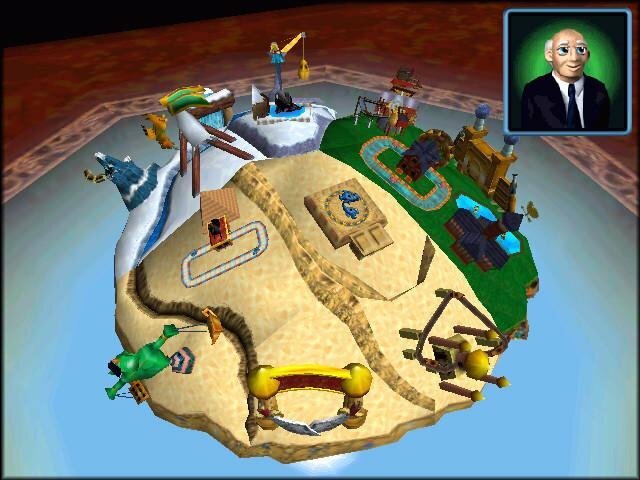 The addition of objectives and challenges is both the greatest strength and weakness of SimCoaster. 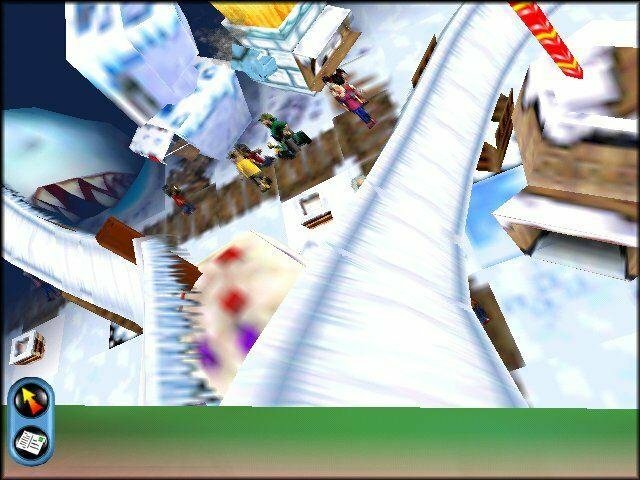 They both add much-needed structure to the game, but they provide more excuses for the game to tap you on the shoulder with an annoying “reminder” every few seconds. 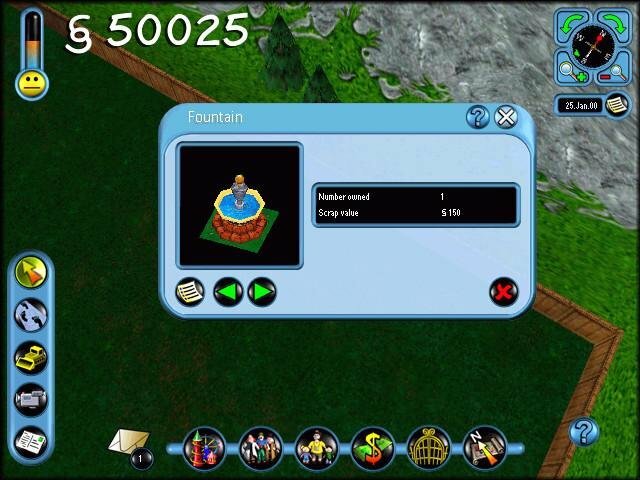 If you thought the advisor in Sim Theme Park was obnoxious, you’ll want to turn off the new female advisor in the options menu right away. 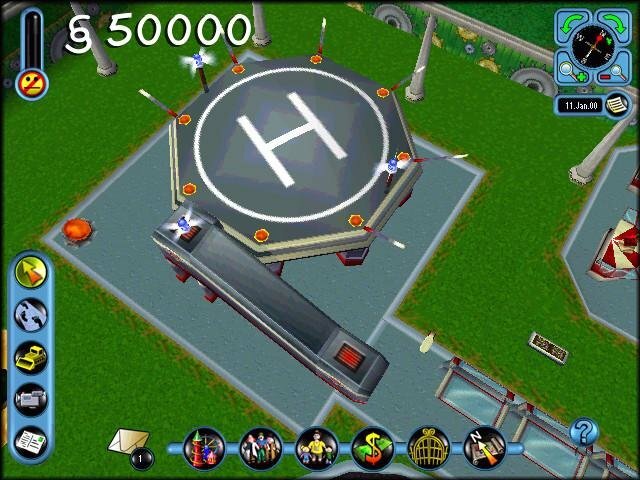 SimCoaster is bound to invite comparisons with RollerCoaster Tycoon, and in fact Electronic Arts has invited such comparisons with their name change. Really, they’re two entirely different games about the same thing. 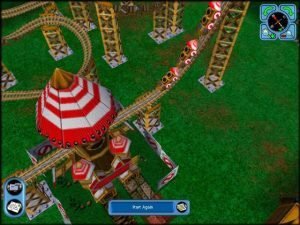 RollerCoaster Tycoon is a more detailed simulation, with a much more open-ended path to success. 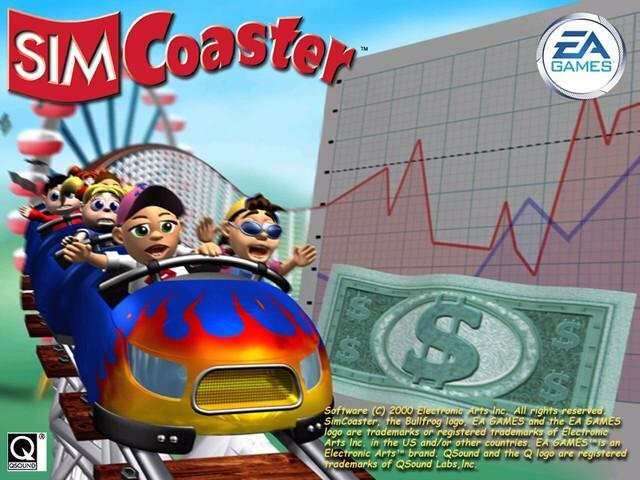 SimCoaster is about making a series of small decisions and racing to complete short-term objectives.